Cartridge Save will make your money go longer by being highly affordable about the expense of Canon IRC3080i toner cartridges. All of our Canon toner have been constructed from the finest quality materials so as to ensure that you receive a really good deal. Do you have questions? If you feel eager to save money then it'll make sense for you to reap the benefits of our free delivery service that'll cut back on the cost of purchasing Canon IRC3080i toner . Cartridge Save stand behind every order of high quality IRC-3080i toner cartridges with a money back guarantee so that we can ensure dependable functionality. Considering the fact that we aim to experience 100% customer satisfaction whenever you purchase a toner we'll always refund your payment if you're ever dissatisfied. This multifunction printer is aimed at offices that require a network-friendly device for all document printing needs. The Canon IRC-3080i is slightly faster than its predecessors, but it lacks essential features that could have made it more efficient in the workplace. The signature advanced imageCHIP system architecture of Canon is integrated into this printer for the best performance and high quality output. With an A3 desktop form factor, the IRC-3080i is quite compact ( 791mm tall and 565mm wide) but boasts a powerful 533MHz+400MHz Canon custom processor with an 80GB hard disk drive and a 1.5GB RAM. 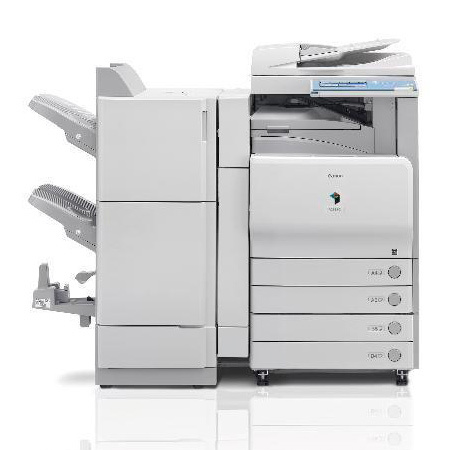 At 116 kg, the Canon IRC-3080i copier is built for heavy-duty printing. Canon also included an automatic colour sensing (ACS) feature to save money on colour ink. Canon improved on print speed with the release of the IRC 3080i. Now, users with this device can print up to 30 ppm in monochrome and 28 ppm in colour. Canons IRC3080i also boasts mailbox and digital copying features as well as the standard-colour universal send and printing capabilities. Users can choose among a selection of finishing options for different types of applications. The Canon IRC-3080i is Energy Star-certified and equipped with advanced security options, too. The Canon IRC-3080i claims to be a multifunction printer, but it can only do printing and copying in truth. It is a bit pricey, and a small office may find it more cost-efficient to spend money on a multifunction printer that has fax and scanning capabilities, too. Some of the finishing options could be unnecessary for users especially if the Canon IRC-3080i is being used in a network.